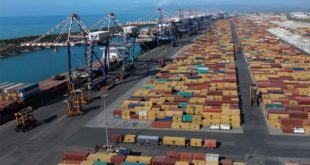 Krishnapatnam Port Container Terminal (KPCT), a deep drafted Container Terminal, on the east-coast of India, announced the commissioning of 5 nos. of Electrical Rubber Tyred Gantry cranes (e-RTGC) further bolstering its container handling capacity in the backdrop of a strong year-on-year container volume growth of 88% in FY 2017-18. 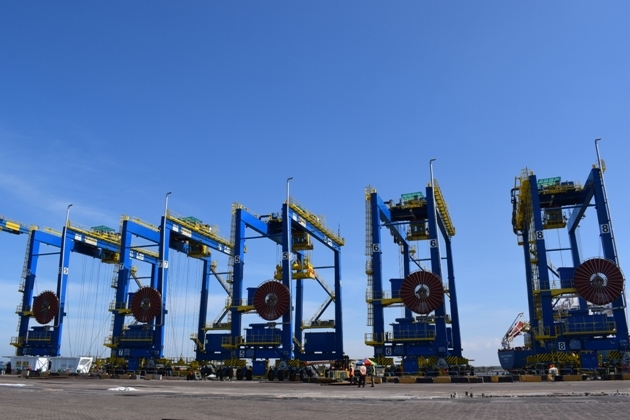 An environmentally sustainable growth is one of the key foundations of Krishnapatnam Port and it received a shot in the arm with the commissioning of these 5 new e-RTGs which have the potential to reduce energy costs by 80% and operating noise level by 65% whilst cutting down more than 1400 tons of Greenhouse Gases (GHG) emissions vis-à-vis the traditional diesel run RTGs. 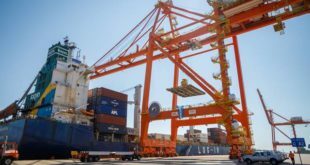 Designed to offer significant operational performance, the new e-RTGs are expected to infuse further pace to the yard side container handling activities resulting in faster turnaround time for both the container vessels as well as the by-road trailers. 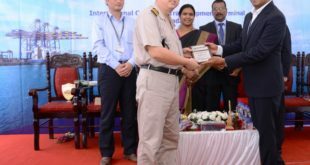 Mr. Jithendra Nimmagadda, Chief Operating Officer, KPCT commented “Addition of the new e-RTGs is in-line with our philosophy of ‘Creating capacity ahead of the demand’ whilst we are in the process transforming KPCT from being a gateway container terminal on the east coast of India into a Transshipment hub in South Asia”. 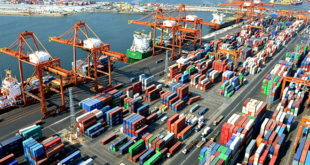 Krishnapatnam Port Container Terminal is the country’s fastest growing container terminal and is planning to increase its container handling capacity from the current 1.2 Million TEUs per annum to 2 Million TEUs in its quest to emerge as the Global Transshipment hub.